This is a repeated pairing which is expected to produce black and white puppies with blue eyes. Both Mom (left) and Dad (right) are playful and full of energy. This is a new pairing which is expected to produce black and white puppies with blue eyes and maybe some red and whites. 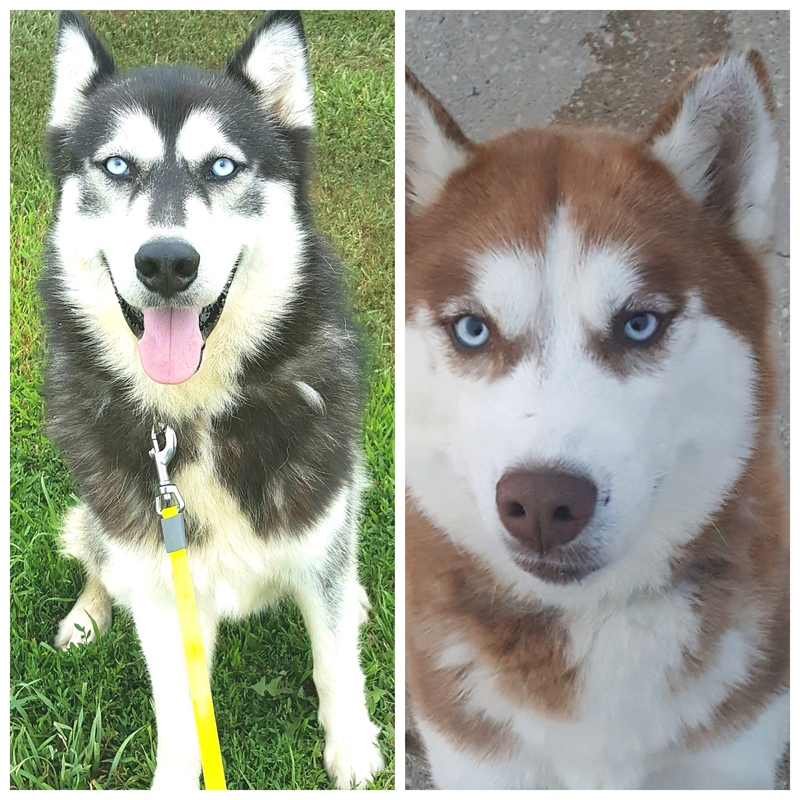 Both Dad (left) and Mom (right) are very fluffy huskies. Mom is older than Dad, but they are both well behaved dogs. This is a new pairing. Both are Red/Black with West German lines and a great disposition. They love kids and all the other dogs. They are smart and trainable. We expect their offspring to be the same.